Hello all, Carrie Ann Cole here. I make my debut in April of this year and I'm so excited. I'm a chef and I stepped in for a friend who was ill. It meant I got to cater a New York event for the Duke and Duchess of Cambridge. Well, that went so well that I asked to become their personal chef. My boyfriend wasn't as excited as I was about my plans to move to London, but he said he wouldn't limit my career. So, off I go. 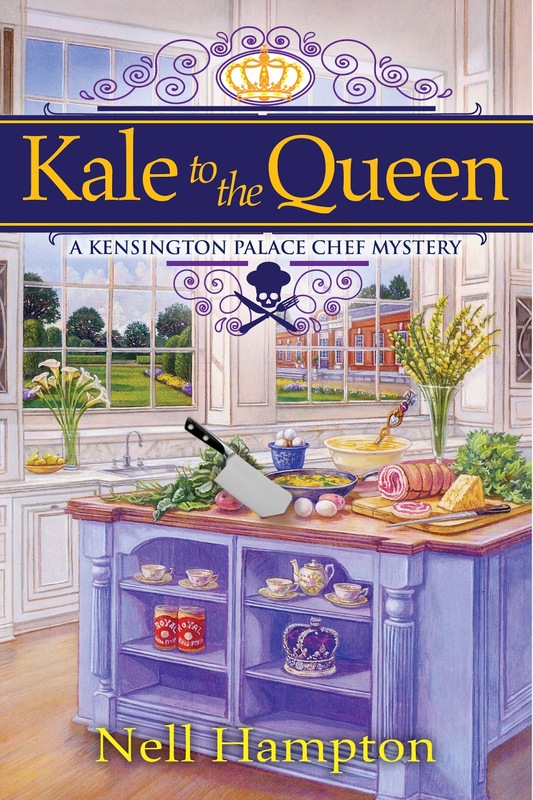 An American in London working in the small family kitchen in the Duke and Duchesses apartment in Kensington Palace. It's a grand adventure that begins with a shocking murder and my struggle to find the true killer. Along the way I learn there are ways of doing things that have been in place for centuries and surely all will be lost if we waiver from tradition. But the Duchess did that first by hiring an American to run her kitchen. That is when she isn't cooking herself. Do you follow the Royal Family? If so what is your favorite part of Royal watching? Cheers from London, Carrie Ann. I really don't keep up with the royal family. I liked Princess Diana though. I love the title, and the book cover definitely leads one to make a positive 'judgement' of the book contents. I've always been fascinated by all things British...movies, television, cars, food, snacks, books, and the Royal family. I always click on Facebook news and enjoy watching the new Royals growing up. I wonder if we lose Queen Elizabeth, will Charles set aside for William? I think the country may need real stability and a contemporary viewpoint that William's youth would provide? Long Live the Brits! How fun! I look forward to reading this. I don't follow the royalty. I think they need some privacy. I wouldn't want a world of stalkers. The book sounds great! I am so excited to read this book! I like following William & Kate and their adorable little ones. The Royal family interests me. I think it is odd how the British hold on to their kings and queens, but also has Parliament. I wasn't interested in the Royal Family until July 1981 when Diana got married, the same month and year as I did. I enjoy watching Will and Harry. I don't really follow the royal family but I love seeing pictures of Prince George and Princess Charlotte. 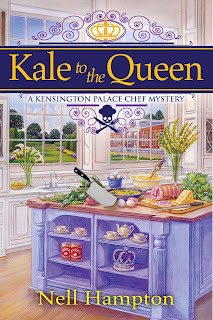 I am really excited about the new series...I love cooking cozies. This book sounds so interesting, thanks for the drawing. book sounds good. Don't follow any royalty.